Presenting Juvederm Volux; a ground-breaking new injectable for chin and jawline contouring & definition, now available at the ONE aesthetic studio in Cheshire. Founded by Juvederm; the makers of the Juvederm family of facial dermal fillers, the treatment gives more lift and projection to the face. Jawline contouring is a huge beauty trend right now and is predicted to soar. It is also the perfect solution for those looking to augment the definition of their chin, jawline and profile due to deformity from birth, injury or being dissatisfied with having the appearance of a small or weak chin. The non-surgical augmentation procedure is also the preferred option for patients who can achieve a significant improvement without the pain, risk and lengthy recovery time associated with surgery. Whilst cosmetic treatments used to be all about ‘chasing’ fine lines and wrinkles, it’s now time to make way for non-invasive re-contouring with Juvederm Volux. Your jawline plays a major part in defining your face shape, but as we grow older and start to lose skin and muscle tone; this definition and clear shape starts to get lost. Very few procedures have a wide-ranging result, and most are specialised treatments for a particular problem, such as deformity or volume loss. Fortunately, nowadays a variety of techniques is available to help. Containing the highest concentration of hyaluronic acid, Juvederm Volux provides more projection and more contouring for the jawline and chin area, than any other treatment. Addressing the universal problem of our face changing its shape over time, the Juvederm Volux treatment transforms the approach to rejuvenating treatments. Using contouring and volumizing fillers which are injected deeply under the skin to softly reshape the chin and lower jaw; Volux lasts between 12 to 18 months and the duration of the treatment depends on how many syringes a client need. Juvederm Volux contains anaesthetic to enhance the patient’s comfort throughout the treatment. Dr. Jonquille Chantrey; founder of ONE aesthetic studio; is an Aesthetic Surgeon and International Beauty Lecturer with over 14 years’ extensive experience in aesthetics, plastic and cosmetic surgery, microsurgery, trauma and facial surgery, burns reconstruction and more. 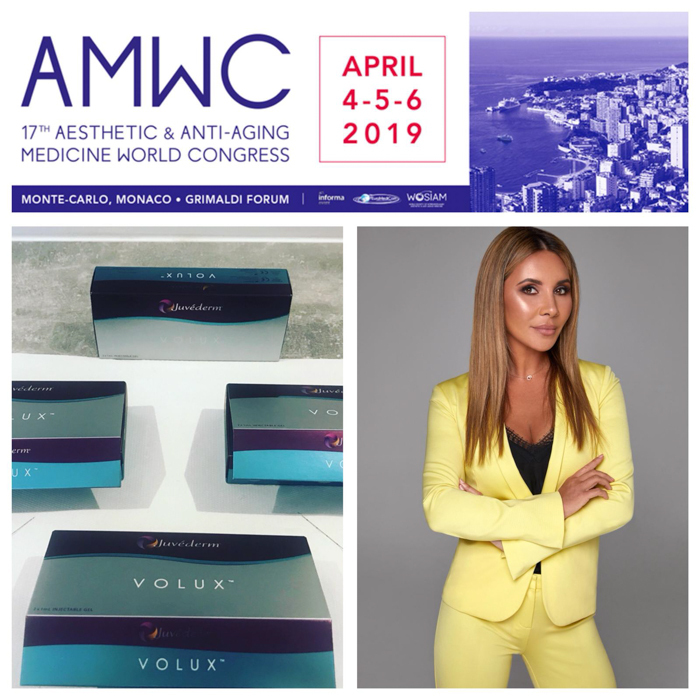 As the only doctor who designed the original clinical pilot study for Juvederm Volux in 2013, Dr. Chantrey is proud to announce that she will launching the treatment as a LIVE demonstration at the Anti-ageing Medical World Congress on 5th April in Monaco, on behalf of Juvederm International. Her cases are two sisters who are both millennials, one is getting married in a months time and the other has had previous facial fractures and surgery from a horse riding accident. The only UK surgeon to represent Allergan internationally – Jonquille is, and continues to be, one of the most sought after cosmetic and skincare experts in the world – ranking with top doctors in the field. The first doctor worldwide to launch Juvederm Volux; Jonquille continues to break down barriers in the industry with her trailblazing research and treatments. A perfect choice for fast results; eliminating the need for multiple treatments.